Find the perfect phrase to include in Mom's Mother's Day card with this collection of poems, quips, and quotes all about Mom. Mother -- that was the bank where we deposited all our hurts and worries. You don't really understand human nature unless you know why a child on a merry-go-round will wave at his parents every time around -- and why his parents will always wave back. 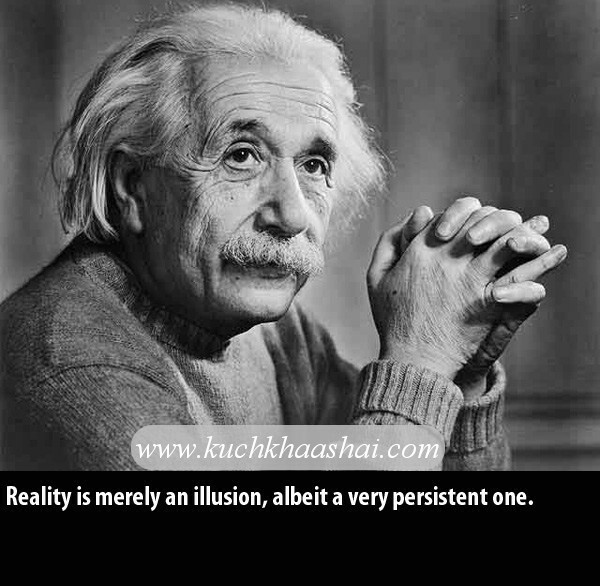 Passionate love is a quenchless thirst....Kahlil Gibran. It can be in a crowd, but in an oblivious crowd....Louis Aragon. Do you want to know a good way to fall in love? and disassociate from all the unpleasant ones....Richard Bandler. but you cannot love without giving....Amy Carmichael. and the tamest spirit wild....Alexis Delp. but for how they make them feel....Irwin Federman. but love demonstrated is irresistible....Stan Mooneyham. Love is a friendship caught on fire...."Northern Exposure." and one who offers the cheek....French Proverb. To love is to receive a glimpse of heaven....Karen Sunde. when they are told they are loved....Unknown. way than this, where 'I' does not exist, nor 'you'. close that your eyes close as I fall asleep....Pablo Neruda. we drew a circle that took him in....Edwin Markham. In romantic love, you want the other person....Margaret Anderson. live like it's heaven on earth....William Purky. but for what I am when I am with you....Roy Croft. it's making the years count....Wolfman Jack Smith. retain love is to give it away....Elbert Hubbard. to each other than to any other person....Nathaniel Branden. object which loves in return....Del Amour Stendhal. love cannot exist....Dr. E. Stanley Jones. The best proof of love is trust....Dr. Joyce Brothers. Love is friendship set to music....Pollock. Love is, above all, the gift of oneself....Jean Anouilh. it raises us to the highest level of human experience. at the same time, both....Leo Buscaglia. of me that you bring out....Elizabeth Barrett Browning. and fans the bonfire....Francois Duc De La Rochefoucauld. True love stories never have endings....Unknown. instead of creating the perfect love....Tom Robbins. loved in spite of ourselves....Victor Hugo. people falling in love....Albert Einstein. time is eternity....Henry Van Dyke. the contact of two skins....Nicholas Chamfort. Love will never die....Bryce Courtney. Mature love says: "I need you because I love you. "....Erich Fromm. expecting to give -- which is everything....Katherine Hepburn. it is because of you....Herman Hesse. The first duty of love is to listen....Paul Tillich. 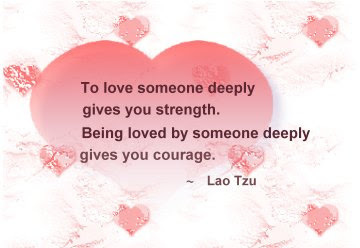 while loving someone deeply gives you courage....Lao-Tsu. yet always remain side by side....Hugh Prather. and openness in your heart....Ken Keyes. It's a matter of what's happening in your heart....Ken Keyes. become someone who can be loved; the rest is up to them....Unknown. sent forth to preach of love and hope and peace....James Russell Lowell. it may alight upon you....Nathaniel Hawthorne. The greatest pleasure of life is love....William Temple. miles not longer than one....Japanese Proverb. only because I love....Leo Nikolaevich Tolstoy. love is two fool things after each other....Oscar Wilde. sun from both sides....David Viscott. depth until the hour of separation....Kahlil Gibran. beautiful a meaning to say it too late....Kurt Spiteri Cornish. Lust is when you love what you see. Love is when you lust for what's inside....Renee Conkle. and then commitment....Jacques Pierre Ribault. To fear love is to fear life....Bertrand Russell. a tender look which becomes a habit....Peter Ustinov. someone who will love you forever...."Ally McBeal." to be scared of. It's so natural that no one can resist....Unknown. only whose love we accept....Unknown. But because you are so perfect for me....Unknown. a thousand things without talking....Chinese Proverb. love never lets you go....Unknown. Let no one who loves be unhappy. Even love unreturned has its rainbow....James Matthew Barrie. where wolves fear to prey....Lord George Gordon Byron. When you love someone, you love them with their faults....Elizabeth Cameron. Where there is love there is life....Mahatma Gandhi. by insensitivity...I am free to love...just love....L. Hodge. There is but one genuine love potion - consideration....Menander. finger on man's shoulder....Charles Morgan. to love and be loved....George Sands. rather than to be happy....Ralph Connor. treasure, God the Son, who is our Savior....Phil Ware. For love is the beauty of the soul....St. Augustine. All that we love deeply becomes a part of us....Helen Keller. to trust, to risk, to try, to go on....Gloria Gaither. more than verses on valentines and romance in the movies. of our favorite memories and the foundation of our fondest dreams. spent, a seed that can flourish in even the most unlikely of places. greatest treasure of all -- one known only by those who love....Unknown. each can flourish, far superior to what either could achieve alone....Unknown. and never let go till we're gone....Titanic Theme. imagination and bottling the common-sense....Helen Rowland. regard for the value of each other's person....Nathaniel Branden. but rooted in what you can give to the other person....Josh McDowell. Love is energy of life....Robert Browning. with white hairs and is always young in the heart....Honore De Balzac. To love someone is to acknowledge the goodness of who they are. look into the mirror of our love and see themselves....John Gray, Ph.D.
You will have learned to live....Unknown. is like a mansion built upon the sand....Ella Wheeler Wilcox. To love is to be vulnerable....C.S. Lewis. love gives us a fairy tale....Unknown. between your heart feelings and another person....Ken Keyes. It [Love] is not a word, nor a single action. Love is a hole in the heart....Ben Hecht. "to have a friend"....the phrase "I love you"
is translated "I have you as a friend"....Unknown. inconceivable that you should ever part, because this is what love is. minute or every second of the day. That is just being "in love"
burned away, and this both an art and a fortunate accident....Louis De Bernieres. 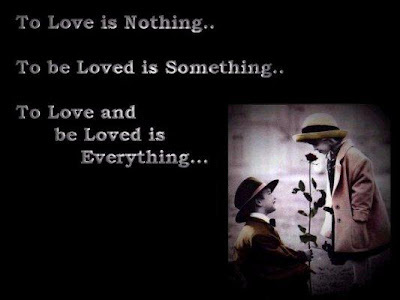 but to be loved by the one you love is everything....Unknown. passes from selfishness to service....Unknown. person is essential to your own....Robert A. Heinlein. moments of breath, but by the breath-taking moments....Unknown. but love never subsides into friendship....Lord Byron. to be desired....Henri, Comte de Toulouse-Lautrec. all the selfishness is taken out....Nick Richardson. truth than adore me for telling you lies....Pietro Aretino. it does not....Francois Duc De La Rochefoucauld. which we most believe....Francois Duc De La Rochefoucauld. As you think, you travel, and as you love, you attract. be tomorrow where your thoughts take you....James Lane Allen. To love and lose, the next best....William M. Thackeray. that it might be lost....Gilbert Chesterton. to admire is to love with the mind....Theophile Gautier. hazards, save one--neglect....James D. Bryden. but not the essence....Vincent Van Gogh. Kindness in giving creates love....Lao-Tsu. in that which one inspires.....Francois Duc De La Rochefoucauld. integrity of one's own self....Erich Fromm. eternal goal is life....Smiley Blanton. you love them enough....George Washington Carver. Love is the essence of God....Ralph Waldo Emerson. Music is expression of harmony in sound. Love is the expression of harmony in life....Stephen F. Gaskin. but it is very rare because most people are strategists....Anita Brookner. wonderful experience that can happen to your life....Unknown. of kindness and of love....William Wordsworth. forth ~ you will no longer pass through this world alone. of love and the end of all that came before....Unknown. love is a growing up....James Baldwin. place for those who love us....Saint Bernard of Clairvaux. them by what is deepest in themselves....Pierre Teilhard De Chardin. We don't love to be loved; we love to love....Leo Buscaglia. as love can do with a twined thread....Robert Burton. together the love of them that kiss....St. Aelred. When you were a kid, who taught you the nuances of the language you now are so familiar with? Who taught you the numbers and familiarized you with ways of using them to your advantage? Well, these people are called teachers and from time immemorial the world hasn’t been able to do away with them. From ancient times to modern times, teachers have, in a way, been an indispensable part of human society as we know it and have known it to be. While parents are responsible for the existence of a child, teachers are the ones who are responsible for the survival of a child in a world that is more than just competitive. Most people, as kids, have always leaned towards hatred when teachers came into the equation. However, with the passing of time, it may have dawned on the very same people that teachers are only meant to be adored and respected. Read on to find for yourself inspiring quotes on teachers. Now that you have are done with reading your way through well chosen quotes on teachers, perceiving the almost always underestimated value of a teacher shouldn’t be much of a problem.